There are around 200 lakes in Oklahoma! Oklahoma has more man-made lakes than any other state in the USA. With 2000 miles of shoreline and over one million surface-acres of water, Oklahoma has a lake for everyone. Eufaula Lake, Oklahoma’s largest lake, is the 15th largest lake in the United States, another must see giant lake is Lake Texoma. Popular activities on Oklahoma lakes include: fishing, water skiing, wakeboarding, scuba diving, kitesurfing, kayaking and more! So pack up the car, grab your fishing pole, and visit a Oklahoma Lake today! Check out our list of Oklahoma lakes below. If you have pictures of any of these Oklahoma lakes and would like us to post them, you can upload them on any of the lake pages. Or email them to us at photos @ outdoorsok.com. 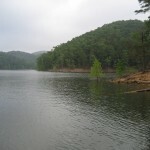 Also Check out the Oklahoma Lakes Forum where you can discuss or ask questions about your favorite lake. Lakes with this icon next to the name have pictures. I think you are right! We finally get a break from the heat. Fall is definitely getting closer. Great information and a good job on all the photos!! There is SO much to do in Oklahoma. Get outdoors, breath and enjoy the sunshine and cooler weather coming on. Fall is a perfect time to be outdoors in Oklahoma! Yes, today was a awesome day too fish, and I’m gonna fish tomorrow also!! I love too fish and hunt!! Keep up the good work on the website. Good job! Looking forward to some fall camping!